OMG.. 🙂 Dealers like selling used cars because they can be marked up 300% depending. New cars, they only make 20 or 30% . So you have to watch it. The best deals come this time of the year when “Program cars” come back. 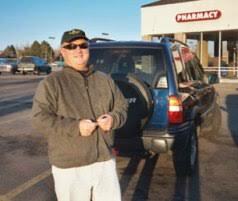 Dealers snap them up at the dealer car auction in Denver every Monday. Program cars are LEASE and Fleet vehicles being turned back in. . Usually same year or 1 or two years old. This is also the time of the year when they come in. December is the slowest month of the year for car sales. Dealers have to clear everything out by January 1st to end the year; in order to get better bank rates for them(not you) and better order allotments from the manufactures. The best place to find cars right now is on the web. Look for the specific car 2018, 17 or 16. Example I found my son a 2 year old program car at Boulder Toyota for $7000. We did a wide search and it popped up. It is not that we wanted to go to Boulder Toyota. they had what we were looking for. we did a search for a 2015 vehicle for $7000. We bought it that Day on Dec. 27th. They had to move it. Is the dealer is your friend? You have to work the numbers online. Car dealers are like strippers and prostitutes. You are the John. You think they love you.. lol… but when you leave the club , all of your money is gone. I bought my 2016 VW Jetta in June 2016 for $15,800 (7000 under retail) from O’Meara VW on 104th. VW was pushing the cars out in the aftermath of the diesel scandal but the petro version is a perfectly good car and get 40 mph highway. But I did an online search. If you want to buy an old car: ie 2015 or older, then forget it.. there are deals as in an actual deals. How do I know all this. 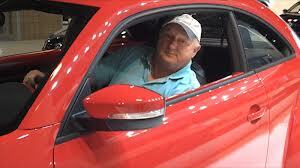 Among my many talents, I have been an automotive reviewer since 1969, a member of IMPA and RMAP and worked in the car industry for a period. (ps I worked for the Daily Camera and Colorado Daily in 2002 – 3 as their Auto Reviewer. They fired me for articles like this and Ford seriously threatened to suit me when I discovered a malfunction in the front wheel drive Saab turbo. a few years later Saab went broke.) ps I also reviewed cars on cable tv and online. Jann Scott is a longtime Boulder TV reporter and Journalist. An ambulance, fire and police came, The victim woman was transported to BCH ER where she was treated. Her face is black and blue. As of Sunday she was resting at home . She and her husband who are retired professionals wish to remain anonymous at this time. A police report is available as a matter of public record. 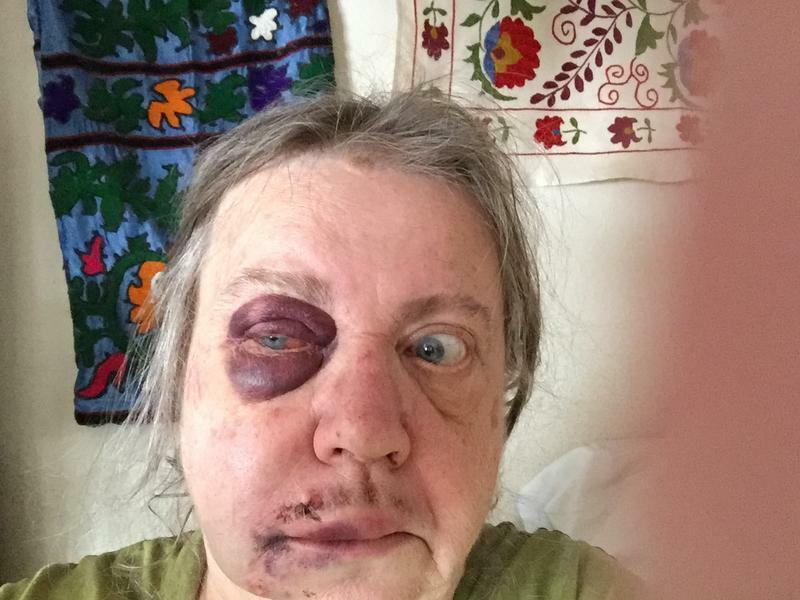 The husband stressed his concern about attacks on the elderly by homeless thugs of any gender in Boulder. His wife likes to take the bus into town to go to Trident. She has a new small SUV but prefers the bus for convenience and environmental reasons . In previous conversations they have both mentioned to me that the Broadway bus often has agro homeless people. Now it has proved to be unsafe for them. 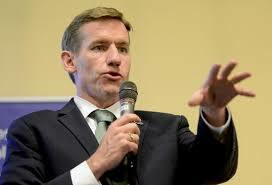 What is also shocking is that Bowen brazenly attacked the 72 year old woman in front of everyone. As she lay on the ground the Bowen punched the 72 year old repeatedly 8 to 12 times. This was a very violent attack. 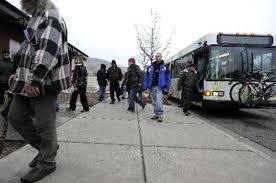 208 bus at homeless shelter packed with homeless proves dangerous for citizens. It seems as long as Boulder treats the homeless as Pets and not address crime it will only get worse and the elderly are the victims. The 72 year old woman and her husband said that they will demand that the DA give this woman prison time no plea bargain. This was certainly felony assault. Violent offenders like this should be taken out of society and sent to one of our nice prison country clubs and not our jail. They have reported this information to the police. Jann Scott is a longtime Boulder TV Journalist and commentator. 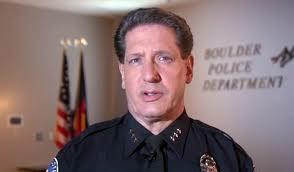 LETTER FROM GREG TESTA BOULDER POLICE CHIEF Tue, Nov 13, 12:59 PM (1 day ago) Jann, The suspect was charged with felony assault (3rd degree at risk) and robbery on an at risk adult. These are serious charges and will be looked at by the DA’s Office as serious charges. UPDATE: As you know I re-posted this for everyone in Boulder to see and deleted the original. and I included some of the comments. Boulder DA Michael Dougherty is taking this case seriously. LETTER FROM HUSBAND to mdougherty I am writing you about this because my wife, is still somewhat traumatized by the attack. Hopefully she can give you a full accounting of the attack. Also you may reach her at her phone number . Fortunately she still has her phone due to the quick work of the BPD. I appreciate your interest in this and hope that the attacker, will be off the streets and buses. I am attaching a photo of her injuries that are much clearer now. Thank you for your interest and assistance in this matter. Aya JT, Rural North Boulder· This is heartbreaking on so many levels. Public transportation should be safe for everyone and affordable. But our city gives free bus rides to these type of homeless people and the homeless feel entitled to the public bus. It’s no longer a safe alternative transportation for families, workers, or elderly people. I can’t even handle no one stepped in from the bus, to help this elderly person. Thank goodness someone in a car, nonetheless, was able to assist. It seems like there needs to be security personnel on the buses for everyone’s safety. Ronda Lawrence, Rural North Boulder· And no one on the bus came to her rescue??? When we do nothing, we are silently acquiescing and risk immoral behaviors becoming “normal”. Stand up….speak up! Makes me wonder what homelessness, shameless assault, and robbery (including scams), especially on our more vulnerable populations, are societal symptoms of? Why are people so desperate they will do this to their fellow human beings? Why are our basic standards of respect, honor and compassion degrading so much, so fast in this country? John Mayer, Rural North Boulder· Very sad to hear this. I am curious how this will be handled by the courts. Clearly this person needs to serve a prison sentence. We should follow-up and even attend the court hearing and trial as show of support for the victim. This has not been mentioned in the Camera…how can we follow up. Is the name of the arrested woman known? Andy Malkiel, Rural North Boulder· This is really shocking and sad to hear. I wish the woman who got beaten up a speedy and full recovery. I’m guessing there are so few responses to this, because it is so shocking and people don’t know what to do. Does anyone have any suggestions of a course of action that we should take to help prevent things like this from happening in the future, and is there anything the elderly couple needs while she recovers? Nele New, Newlands·2d ago I’m crestfallen that this has happened and no one came to her immediate aid. Please ask the victim if we as a community could offer support, such as a general healing fund for comfort care that may not be covered by insurance, such as massage or acupuncture or a gift certificate to The Trident or other businesses to which she takes the bus? Raymond Hayes Raymond Hayes, Olde Stage Settlement·2d ago Unbelievable!! PEOPLE DID COME TO HER AID , BUT THE ATTACK HAPPENED SO FAST. My post on Nextdoor was taken down probably by someone complaining and filing a protest. so I put it up here. Lynn Segal put it back up there. Charlotte Knudson, Wonderland Hills·2d ago This problem is many fold. At present we do not properly assess the stability of a homeless person. Are they Homeless because of financial problems Are they responsible. are they drug addicts. Many drug addicts are psychotic and paranoid and that is well documented. We as a community blithely offer help. as a result we put others in jeopardy. Our elected leaders need to do something about this. Especially since a homeless youth faculty is being constructed on Pine St. If City Council can’t figure it out then maybe it’s time for some new leadership. I opposed Attention Homes Pine Street location. Not a good place for homeless youth to hang out. Plus that is very valuable land and should be for public use, a park or civic space that can absorb the shock of the microapartment life Boulder has become. Judge Holmes himself would have wanted homeless teens in multiple graduated fostered homes and dispersed throughout town. Councils have been working on this for decades. The growth needs to stop.